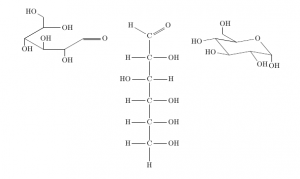 you see that I have want to have flexibility for adding more molecules as a user. But before I proceed I’d like to have feedback on functionality of the package, usefulness (would you actually want to use the package? ), missing features/other things for my TODO list (hopefully not too many). There is currently no manual so you may need to figure out the options and commands yourself. But I’ve added the test file I used (test.tex) to the repository which might give you some hints. This would be a nice inclusion. I’d love to use it straight instead like now I’ve to code, make submol and so on. 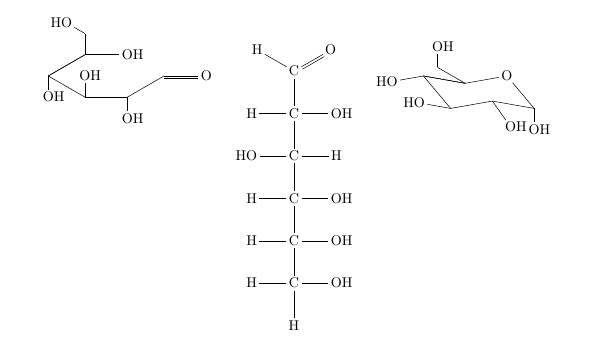 I don’t know if its possible but we use to have the cyclic structure of Glucose etc in the Fischer Projection. I hope you can find way to implement that too. By the way, I still couldn’t do it with chemfig too.